The value of a Faces of Children - 5 cents 1969 stamp depends on several factors such as quality and wear, supply and demand, rarity, finish and more. Values in the section are based on the market, trends, auctions and recognized books, publications and catalogs. This section also includes information on errors and varieties and characteristics. 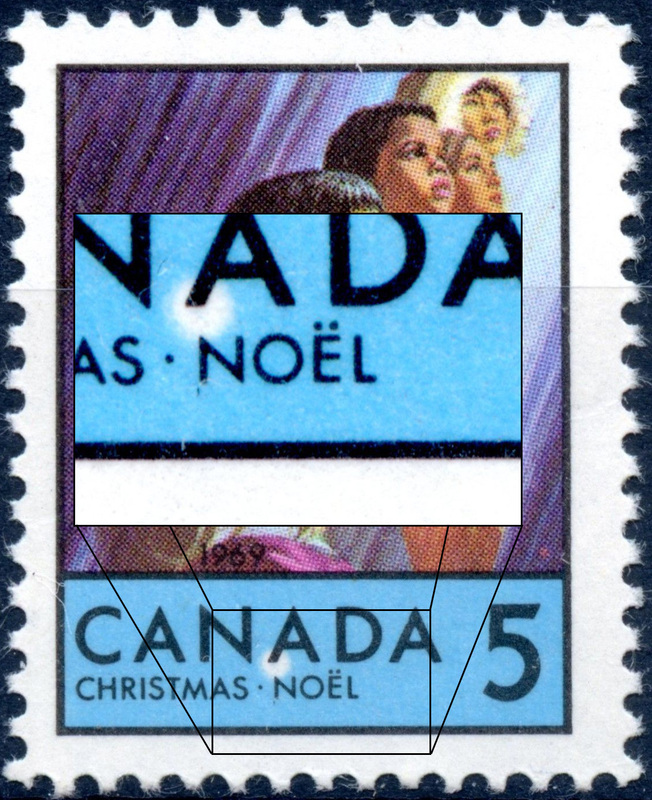 In making special Christmas stamps available for the prepayment of postage during the festive season the Canada Post office followed a practice established as an annual tradition in 1964. 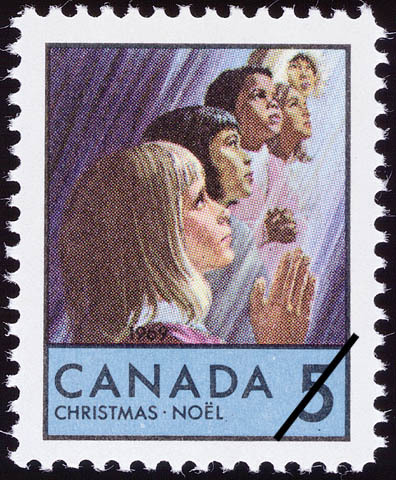 The 1969 issues, first Canadian Christmas stamps produced in full colour, provide recognition of the multi-racial structure of nation's population. It is generally accepted that in 1843 J.C. Horsley, of London, England, designed the first Christmas card; the greeting, one thousand of which were printed, was a stiff card lithographed in sepia tones and hand coloured with dimensions slightly in excess of 5" x 3". The concept of Christmas charity was represented on inside panels of the folding card to convey the traditonal thought of remembering those less fortunate than ourselves. The principal illustration, a family party above the words A Merry Christmas and a Happy New Year to You remains, in varied forms, the basic approach on many greeting cards to this day.